Anyone who thinks an interest rate hike from 0% to .1% or even .25% has much influence on economic growth has “monetarist mush” for brains. Seriously. I have written about Koo on numerous occasions. From Japan’s decade long experiment resulting in public debt of a 1,000,000,000,000,000 yen (a quadrillion yen), Koo reckons Japan failed to defeat deflation because it did not do enough! It’s not just Japan loaded up with populist fools. The US has its share of them as well. For example, Ellen Brown wants to end the Fed and put California politicians (state politicians in general) in charge of printing money to support “growth” as well as union causes. As I have said, the one thing worse than having a Fed in charge of monetary policy is having politicians in charge of monetary printing! Kozo Yamamoto preaches widely believed economic nonsense. Inflation will not raise consumption. People do not stop buying things just because prices are falling. Computers are proof enough. Prices of computers and electronic goods have been falling for decades, yet every year the volume of merchandise sold reaches skyward. History suggests people buy things when they need to or want to not just because prices are rising. Government interference and tax breaks can shift demand forward by a few months (for no real economic benefit of course). There is only so much room to store things. How much food or clothing can you store? Will you buy a coat you do not need, just because prices are going up? Take a look at the US. QE has put a floor (for now) on asset prices but it has not done a damn thing for wages. 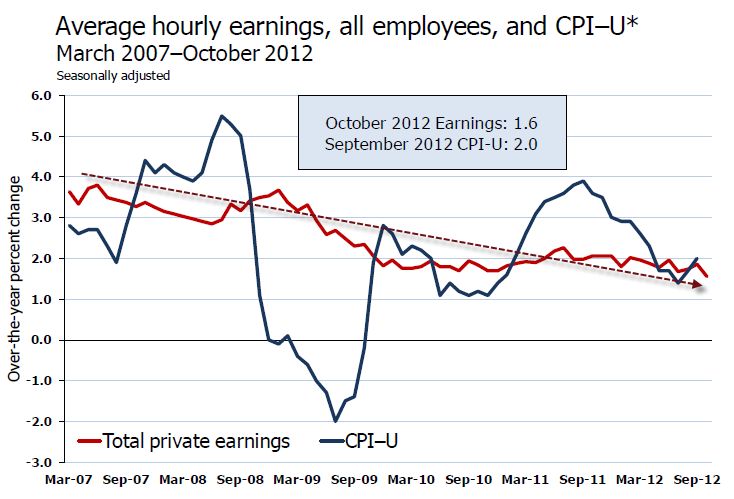 If inflation and QE forces wages and hiring up, then why didn’t it? The fear for Japan should be rising interest rates not deflation. If interest rates rise a mere 2%, interest on the national debt will consume 100% of government revenues. When that happens a currency crisis awaits. I have long stated a currency crisis would happen far sooner in Japan than the US, and I believe we are about to find that out soon enough.